The Supreme Court collegium has finally re-recommended Chief Justice of Uttarakhand High Court, Justice K.M. Joseph for elevation to the Supreme Court. Along with Justice Joseph, the collegium headed by Chief Justice of India Dipak Misra also recommended the appointment of Madras High Court Chief Justice Indira Banerjee and Odisha High Court Chief Justice Vineet Saran as Supreme Court judges. As far as High Court appointments are concerned, the collegium recommended appointment of Patna High Court Chief Justice Rajendra Menon as the Chief Justice of Delhi High Court, and Gujarat High Court judge, Justice M.R. Shah as the Chief Justice of Patna High Court. It further recommended the appointment of Calcutta High Court judge, Justice Aniruddha Bose as the Chief Justice of Jharkhand High Court, after the Centre rejected its recommendation to appoint Justice Bose as the Chief Justice of Delhi High Court. According to reports, the proposal to transfer Justice Bose to Delhi High Court was rejected by the Centre citing lack of experience. The resolution had, in fact, specifically mentioned that the decision was being taken after considering the combined seniority of Chief Justices and senior Puisne Judges of High Courts, apart from their merit and integrity. 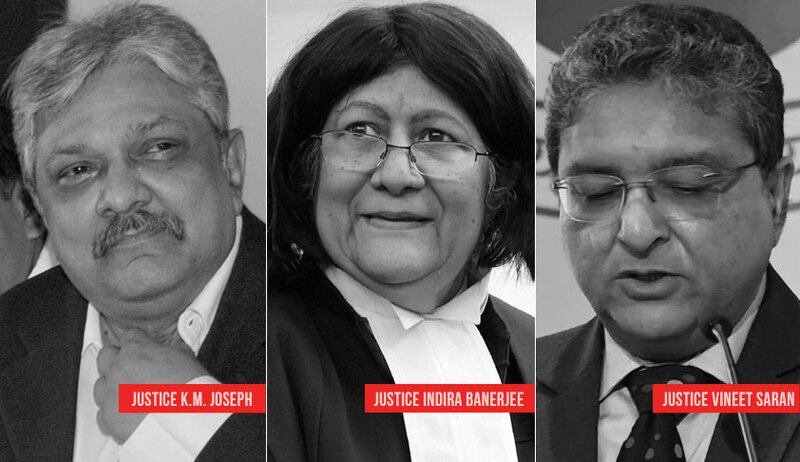 Several jurists, former Judges and Advocates had then stepped forth, calling out the Centre for the move, and demanding reiteration of the recommendation by the Collegium. The Collegium had, however, deferred the decision to re-recommend him thrice since then, while agreeing in principle to reiterate his candidature.